John Robert Stevenson, son of Thomas and Elizabeth Ann Quayle Stevenson, was born October 23rd, 1835 at the Kerrowmoar farm in Sulby, Lezayre, Isle of Man, which is about 3 ½ miles west of the town of Ramsey. He had one brother, Thomas, who emigrated to Melbourne, Australia, in the 1880’s or early 1890’s. For many years the two branches of the family lost contact with each other and only within very recent years was a new contact established. Strange to say that neither branch was aware that any members of the other branch still existed. The story goes: In 1852, at the age of 17 years, John Robert came to America in a sailing ship. The journey took about six weeks. He first settled in Cleveland, but later travelled westward in a covered wagon to look for gold in the Cripple Creek area of Colorado. Cripple Creek lies to the west of Pikes Peak and Colorado Springs. The property on which he worked was later developed by a large mining company which eventually took out about a million dollar’s worth of gold. (editor’s note: a million dollars then would be worth about five million dollars today). This was verified by a man who knew John Robert and related the story to my father’s oldest brother, Tom, when he visited the Cripple Creek area possibly about forty years later. Walter visited the Cripple Creek area with his wife and daughter sometime in 1949 and went down into the by then abandoned gold mine. When John Robert lived in Cleveland, Ohio, he was offered a small farm which he very seriously considered purchasing for only a few hundred dollars. When Walter’s brother, Tom, went to Cleveland, he sent his father, John Robert, a map so that he could mark on it the exact location of the property that he had considered purchasing. It happens today that that same piece of property is part of downtown Cleveland. My father’s brother Tom went to Cleveland with another Tom, Tom Quayle of Gob-e-Valley, Sulby. An added sidenote: Tom Quayle had a sister, Janet, who married Daniel Corlett of Ballaugh, who later became mayor of Johannesburg, South Africa. By coincidence, Janet Quayle taught Walter, my father, in Sulby school before she married Daniel Corlett. In 1860, after living in America for eight years, John Robert decided to visit his home in the Isle of Man. During his visit, the Civil War broke out in the United States, and he was unable to return to America as he had fully intended. One never knows what events of history will change the course of one’s whole life..
About 1864-1865, he married a pretty young Manx lassie scarcely 20 years old – Jane Cowley, daughter of Robert Cowley, Cramag, Sulby, and sister of the late Robert Cowley, M.H.K., and an aunt of the late Deemster Sir Percy Cowley. (editor’s note: when I visited the Isle of Man in 1992, I found a picture of Robert Cowley of Cramag on a display in the Manx Museum. He was known mostly as Bobby Cramag). There were 13 children born to this union of John Robert and Jane Cowley. My father, Walter, happened to be the 13th. The only children of the original Stevenson family still living are myself and Mary and John Stevenson, daughter and son of William (known as Will). John Stevenson, now 98, lives in Greeba, Isle of Man with his wife, Beryl, and sister, Mary, now 95. Almost every member of the family emigrated to other parts of the world, including South Africa, New Zealand, Canada as well as the United States. 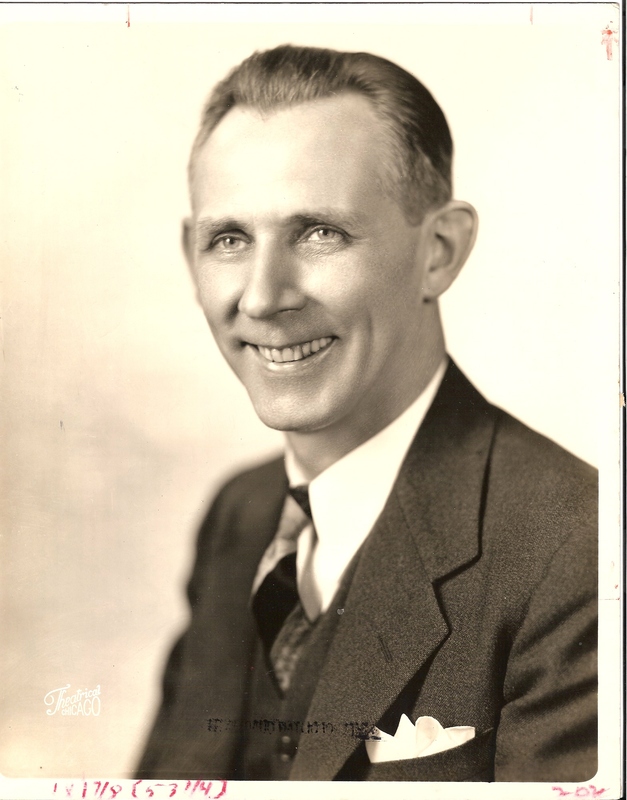 Tom, the oldest, came to America in 1891, and settled in Salt Lake City, Utah. My Dad was able to visit him in Salt Lake City in 1941 before his death. They were probably 20 years apart in age and had never met before, but there was an immediate friendship and bond between them. Most of the information relating to John Roberts’ travel and adventures was told to my father by his brother, Tom. He virtually followed in his father’s footsteps some 35 to 40 years later. For him, it was a voyage of discovery into his father’s past. The family may have scattered all over the world, but they have made their mark individually. However, you can be sure that the Isle of Man has always been in their thoughts, as well as in their blood. Once a Manxman – always a Manxman no matter where you may wander, no matter what turn you may take. What started out as one man’s adventures became family history, which has been related over and over again.